Attend our next Good Food Spotlight! Good food companies at various stages of growth and investment present business challenges. A panel of food business and investment experts return instant feedback. The audience interacts live, responding to key questions. 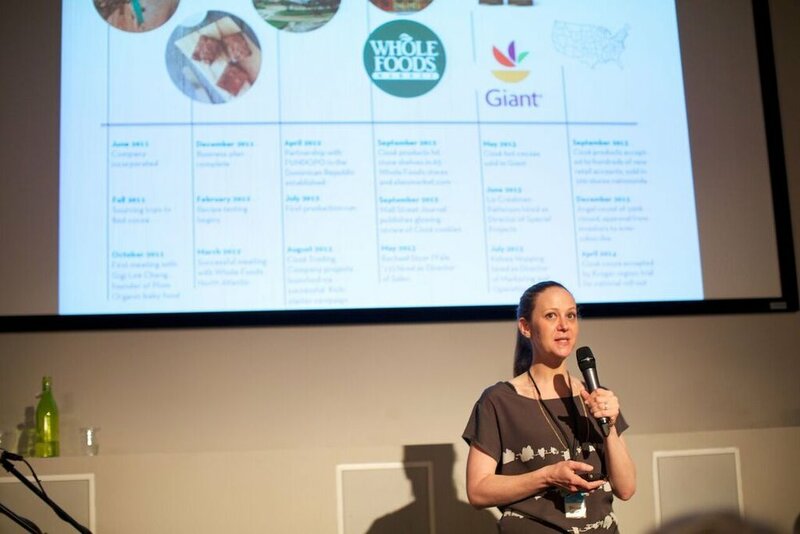 Join our next event to learn about enterprise solutions changing our food system, mingle with the good food community and pick up a few tips for your own business. 7:10 PM: Each presenter gets 5 minutes to showcase their product. Experts share thoughts in the next 5. Audience vote on live-text questions Entrepreneur wants feedback on. Produce your own vinaigrette or veggie burgers, run a CSA, or want feedback on your new delivery app? If you’ve got a food business at any stage inspired by Slow Money Principles, we’d love to hear from you. We’re always looking for judges inspired by Slow Money Investment Criteria who have experience with food businesses, investing, marketing, storytelling, brand voice, refining product, and tasting in the sector, and are excited to provide feedback to start-up food businesses. Let us know your interest in sharing your expertise by emailing us here. Join our MeetUp group to be alerted to every event invitation.